ONI Bureau: In a shocking road mishap, as many as six people were killed and several injured in different road mishaps that were reported this morning from across the State. Reportedly, the accident occurred due to poor visibility owing to heavy fog in the wee hours. 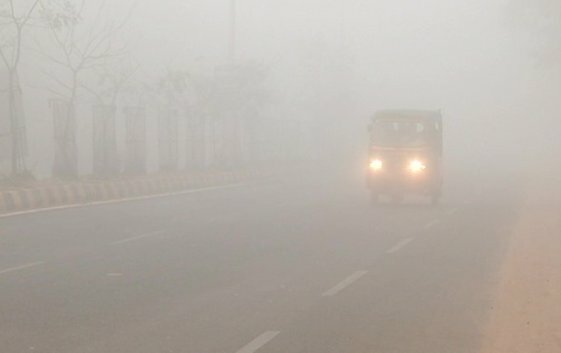 In Kendrapara, five persons were killed and four others turned critical after an SUV collided with a speeding truck at Katia Chhak on Cuttack-Chandbali road due to dense fog. In another incident, one person was killed, two others injured after their two-wheeler rammed into a tree near Rahadinga chhak in Jagatsinghpur district. Similarly in another mishap, three persons suffered critical injuries after an ambulance overturned near Daspalla Dam chhak in Nayagarh district.